Common citizens of the nation are, generally, scared when they are dealing with police matters. This fact is often used to settle scores and use the police force to gain undue personal favours. What the general public is unaware of is that, in such situations, it is possible to stand up to the harassment. All you need to do is hire an advocate. What are the ways in which an advocate can help you? The police force on their own or being instigated by some influential parts of the society often use threats and intimidation to get something from you or get something done by you. A. Do not try and take the law into your own hand. B. Do not try and solve the situation on your own because we the general public do not know the intricacies of the law. C. Contact an advocate immediately. D. He or she will guide you to register a case with the Hon’ble High Court and lead the case to its conclusion. It has been observed that police have wanted to enter a private property and demanded that they search the premise. Remember that it is absolutely illegal thing to do so without a search warrant. Faced with such a situation do the following. A. Ask for a search warrant before the police enters your private premise. B. If they do not listen to you and insist on searching anyway, do not panic. C. Consult an advocate immediately. D. They will guide you as to how to take up the matter and register a case in the Hon’ble High Court. E. He or she will also apprise you about your rights and help you with proper documentation. Sometimes just to take the threat and intimidation to the next level, police often makes illegal arrests. When faced with such a situation, remember that the law is on your side and you have a watertight case. A. Ask the police for an arrest warrant. B. Say that arresting without a warrant is against the law. C. If still the arrest is made, contact an advocate immediately. D. He or she will get you or the arrested person a bail in on time. E. If the case warrants, the aggrieved person might in turn file a case against the offer in question. There have been numerous instances where in spite of wanting protection from police from some anti-social elements, police have been found to be inactive in discharging their duties. B. He will get you the required documentation done. C. Register a case with the Hon’ble High Court. D. Armed with the judgment of the Hon’ble High Court make sure police takes the necessary actions. 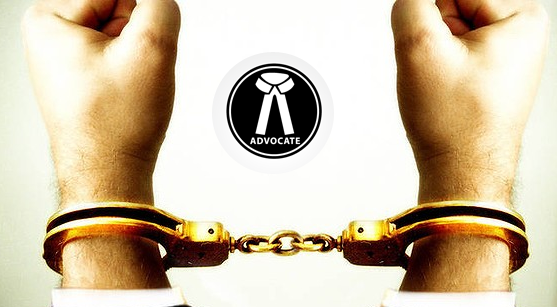 Advocate in chandigarh has more than enough expertise and knowledge in handling such matters. Just remember us and we will help you in your time of need.